Right, it’s time for the final bit of clearing up to be done from last weekend. This job is a quick one, which is to provide an update on the state of play in the NFL prediction mini-league, brought to you once again thanks to the platform provided by Facetheball.com. The results over the weekend didn’t all go according to plan and so this provided ample opportunities for contestants to charge up the table or, in my case, slide calamitously down the field. 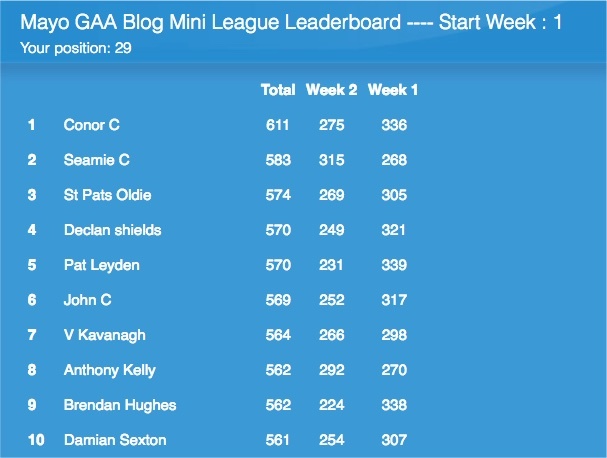 At the top of the table we have a new leader – Conor C jumps from fourth to first, while last week’s leader, Pat Leyden, falls to fifth. I had a dreadful weekend myself in the prediction stakes, following which I’ve tumbled down from seventh overall to 29th. Oh well, it was nice while it lasted. Here’s the Week 2 leaderboard, showing the current top ten placings in the mini-league. OK WJ, some of us are farther down on the list, but none the less, delighted to play so thanks for sponsoring the league! Totally delighted with a 9 point win! Love it! Up Mayo! 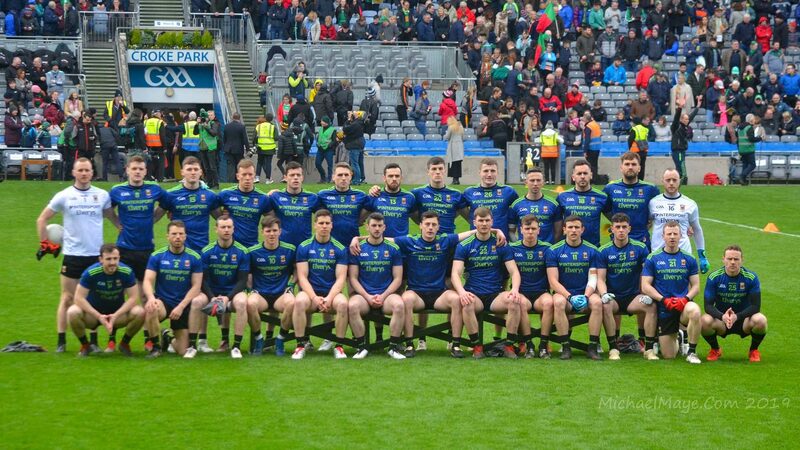 Maigh Eo Abu!! !